Switch off the DVD, Wii, PS3 and MP3 and set off on the road less travelled for a holiday that's far from the daily grind. 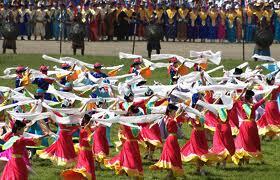 The Naadam Festival is the largest festival in Mongolia and a major holiday. Locals pour into the capital to watch their three sporting passions; wrestling, horse racing and archery. Steeped in history, the traditional games are played out over two amazing days in the National Sports Stadium with an elaborate opening ceremony featuring marches and music by soldiers, dancers, horse riders, monks and athletes before the real fun begins. There’s no better time to experience the culture, meet the local people and soak up the party atmosphere. 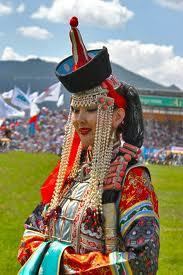 DialAFlight offers a 10-day tour of Mongolia with tickets to the Naadam Festival opening ceremony from £1,149 per person. Other highlights include visits to the ancient Buddhist monastery Erdene Zuu, Khustai National Park to see rare wild horses called 'takhi' and the national park at Terelj for relaxation or hiking as well as stays in Gers (yurts), the traditional home of Mongolian nomads. Valid for departure on 6 July, the price includes nine nights’ accommodation in hotels and Gers with breakfast and two lunches, some sightseeing and entrance fees, tickets to the Naadam Festival opening ceremony and a local English speaking guide. Southern Tanzania's safari season has just begun and unlike the north’s large expanse of plains, watering holes are bountiful in the south's largely unexplored Selous Game Reserve. With over 90,000 sq km of pristine wilderness devoid of human influence here there's no need to journey miles to spot game at the crack of dawn. Instead, with an uninterrupted view of Lake Nzerakera, you can relax with a morning cuppa and watch Africa’s greatest beasts feed and bathe. 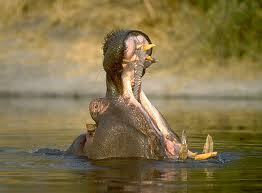 The Rufiji River snakes through the Selous Game Reserve and boasts the largest crocodile and hippo population in Africa. At Selous Safari Camp you can take a boat safaris and get up close and personal with some of the continent’s most notoriously bad tempered mammals. To the south west, the Ruaha National Park offers something its larger, more populated northern parks simply cannot – complete and utter isolation. 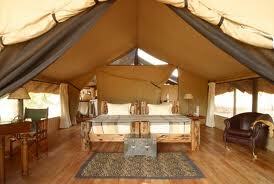 The boutique Jongomero Camp is an eight-tent camp in the heart of the Ruaha. It's so off the beaten path here you're unlikely to see another guest, 4x4 or even plane flying over head throughout your entire trip. And it’s not just the south’s outback that evokes a more undiscovered experience: the beach lodges on its Indian Ocean coastline also induce a decidedly Robinson Crusoe feel. With sandy floors, hammocks and buckets of fresh seafood, Ras Kutani offers canoeing on the lagoon, strolling through the retreat’s 100-acre tropical forest, snorkelling around a shipwreck and boogie-boarding in its seasonal surf. Rainbow Tours offers a nine-night southern Tanzania safari and beach adventure from €4,595 per person for travel in June and from €5,450 per person for travel in October. Prices include flights from London Heathrow with British Airways, six nights split between the Selous Safari Camp and Jongomero Camp on a full-board basis with daily game drives in open-sided 4x4 vehicles plus a further three nights at Ras Kutani on a full-board basis. 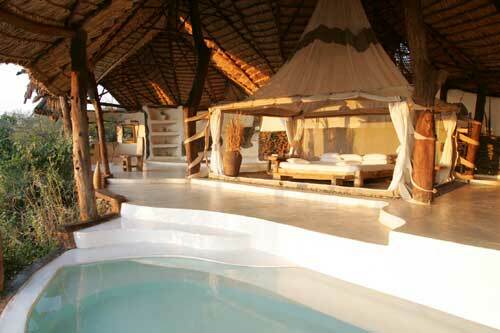 Also included are internal transfers, taxes and surcharges. deluxe rooms are tucked away in idyllic seclusion and boast a four-poster double bed with an en suite bathroom, and either a balcony or terrace. Freshly launched is their brand new canoe safari, ideal for guests wanting to step off the island and enjoy its sparkling, shallow lagoon, deep channels, numerous sandbanks and even a private island. You'll get the chance to race huge rays, exotic fish and even baby reef sharks through the lagoon, while further out to sea the shadows of the house reef’s colourful corals can be glimpsed from above the surface. For experienced canoeists, the ridges and sandbanks create ideal conditions for ‘canoe surfing’ on the shallow waves. This self-guided family safari offers the ultimate day away from it all. The tour includes canoe hire, a picnic to enjoy on neighbouring Dream Island plus snorkel and fins for intrepid water-babies who want to dive into the deeper blue waters and explore the resort’s house reef. Purely Maldives offers seven nights for the price of six at Olhuveli Beach & Spa Resort from €1,882 per person (saving €186), based on two sharing. Available for departure on 2 September, the price includes return flights from Dublin (via London Heathrow) with Aer Lingus and Qatar Airways, accommodation on a half-board basis in a deluxe room, speedboat transfers, taxes and surcharges.